ALIVE – able to roquet one or more balls. BREAK – a series of wickets scored by a player in one turn using one other ball (two-ball break), two other balls (three-ball break) or with all balls in play (four-ball break). BREAK DOWN – when a break or turn ends because no continuation or croquet shot is earned or a fault occurs. CLIPS – colored clips, one for each ball, which are placed on wickets to show which ball is going for which wicket and in what direction; clips on top indicate the first seven wickets before the turning stake, and clips on the side indicate the return seven wickets. CONTINUATION SHOT – a shot earned by scoring a wicket or the shot taken after a croquet shot. CORNER FLAGS – flags or other devices that mark the corners of a croquet court. CROQUET SHOT – the first of two shots earned by the striker for making a roquet. CROQUETED BALL – what the roqueted ball becomes when the striker takes the croquet shot. CROSS WIRE – positioning the opponent’s balls on opposite sides of a wicket or the stake, thus preventing them from hitting each other. DANGER BALL – the opponent’s next ball to play. DEADNESS – what a ball is after it roquets another ball. It becomes “dead” on that ball and cannot roquet it again until it scores a wicket to become “alive” again on that turn. When a player’s ball hits another ball it becomes “dead” on that ball and cannot hit it again until the player’s ball scores its next wicket or at the start of the next turn whichever comes first. DOUBLE TAP – a fault that is committed when, during the striking period, the striker’s mallet hits the striker ball twice. DRIVE SHOT – a croquet shot in which the mallet causes the striker ball to travel about one-quarter to one-third the distance of the croqueted ball. FOOT (HAND) SHOT- when the striker places a foot or hand on the striker ball to hold it in place during the striking period of the croquet shot. GAME CLOCK – the clock used to monitor the time left in a game. IN THE JAWS – when a ball at rest is breaking the plane of a wicket. IRISH PEEL – a croquet stroke in which both balls are sent through a wicket. JOIN UP – a ball plays to a spot near its partner ball. LIFT – to lift a ball that has become a ball in hand. OUT OF BOUNDS – when a ball’s vertical axis has crossed the boundary line. PASS – to pass up a turn. The player is then responsible for the ball’s position. PEEL – when the striker ball causes another ball, either partner or opponent, to score its wicket. PILOT BALL – a ball that is positioned at the wicket a player is attempting to score. PIONEER BALL – in a three-ball or four-ball break, a ball that is positioned at the wicket following the one a player is attempting to score. PIVOT BALL – in a four-ball break, a ball that is usually positioned near the middle of the court and is roqueted before going to the pioneer ball. PUSH – when the striker maintains contact between the mallet and the ball for an appreciable time or accelerates the mallet head while still in contact with the ball. QUESTIONABLE SHOT – a play of doubtful legality or one that has a large possibility of being a fault. A referee should watch any questionable shot. REFEREE – a person certified by the USCA to observe questionable shots and resolve disputes between players. a) HALF-ROLL, TWO-THIRDS ROLL and THREE-QUARTER ROLL SHOTS – croquet shots during which the striker ball travels about that fraction of the distance of the croqueted ball. 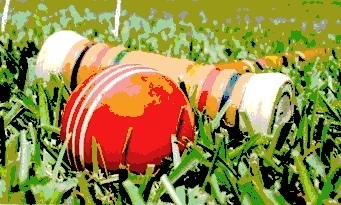 b) FULL-ROLL SHOTS – croquet shots during which the striker ball travels about the same distance as the croqueted ball. c) PASS-ROLL SHOTS – croquet shots during which the striker ball travels farther than the croqueted ball. ROTATION – the order in which each ball is played as reflected in the descending colors on the center stake: blue, red, black, and yellow. ROVER – a ball that has scored all fourteen wickets, but has not yet hit the stake. The fourteenth wicket is also called the rover wicket. RUSH – a roquet in which the striker attempts to send the roqueted ball to a pre-selected position. SCORE A WICKET – to pass through a wicket in the proper order and direction so that when the ball comes to rest it has cleared the plane of the playing side of the wicket. SHOT (also STROKE) – it begins when the striker’s mallet contacts the ball and ends when all balls set in motion by the striker have stopped rolling or have crossed a boundary. SIGHT LINE – a line set lengthwise on top of the mallet head to aid a player in aiming the direction of the stroke. SPLIT SHOT – a croquet shot that sends the striker ball and the croqueted ball in different directions. STAKE – two stakes in a nine-wicket game. STAKE OUT – when a rover ball hits the finish stake or is made to hit the stake by another rover ball. STALK – to line up a shot by approaching the ball from several feet behind, walking up along the direction of aim. Most players consider stalking essential to improved accuracy. STOP SHOT – a croquet shot where the striker ball travels about one fifth, or less, the distance of the croqueted ball. STRIKER – the player whose turn it is to play, or is playing, or, in a few rules, the player whose turn has just ended. STRIKING PERIOD – it begins at the start of the backswing, with intent to strike the ball, and ends at the conclusion of the follow through. TICE – positioning a ball where the opponent is tempted (enticed) to shoot at it, usually with great risk to the opponent. TURN – it starts when the previous player’s turn ends. The player’s turn ends when the player commits a fault or fails to earn a croquet or continuation shot. WICKET – a device through which croquet balls pass to score points. It is a straight-sided form with a flat or curved top, twelve inches in height above the ground and usually made of iron. WIRED BALL – a ball obstructed from another ball, on which it is alive, by a wicket, stake, or ball on which it is dead.